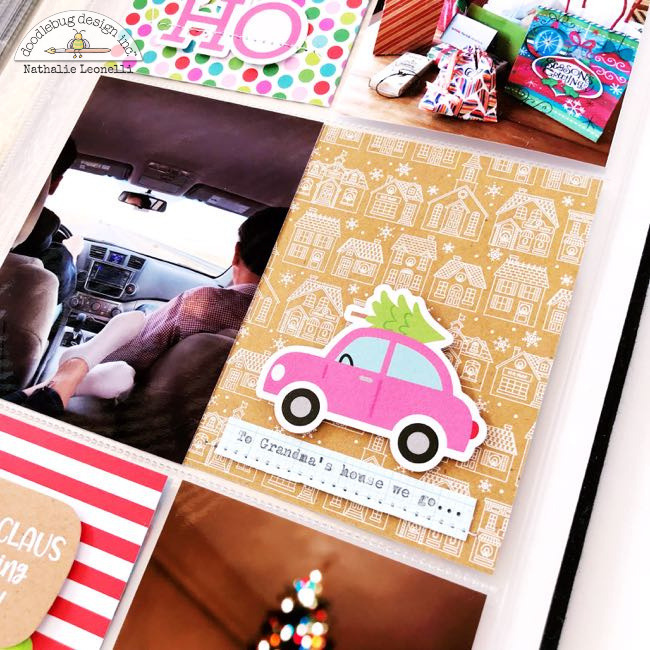 I am excited to be back today to share with you how I have used the Christmas Town collection to make pocket pages in my 6x12 album. 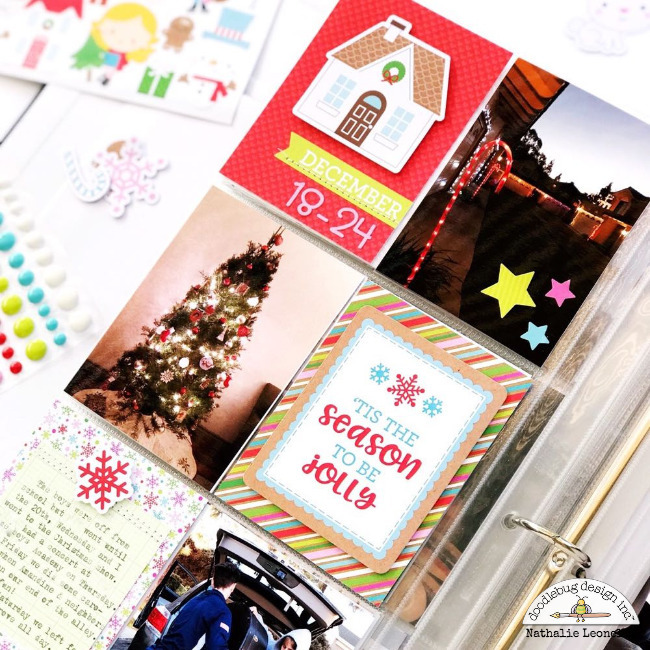 Whether you do it in the popular December album format or within your yearly album like I do, you will find that this collection is perfect to document the Holiday Season. 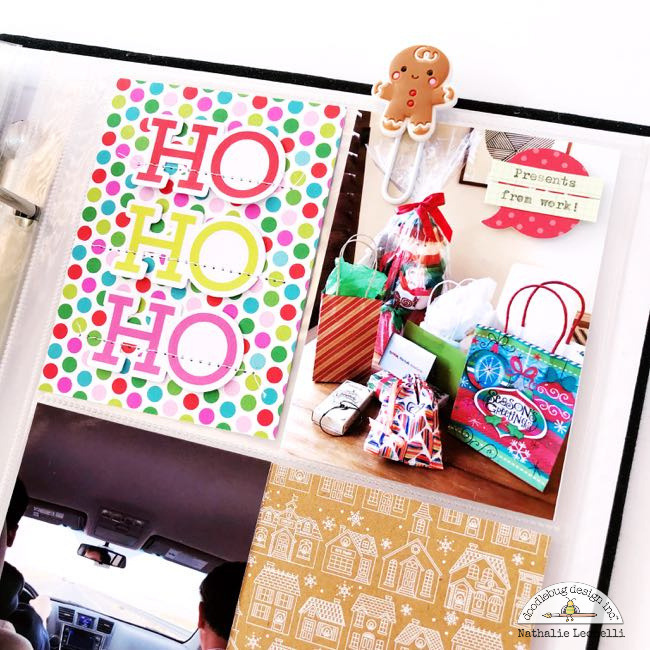 Once I had picked my photos for the week, I chose papers from the 6x6 Christmas Town paper pad to create 3x4 cards. I love the kraft touches in this collection so I included quite a bit of it in my spread. After that, I just went through the Chit Chat and the Odds & Ends packs to select die-cuts that would work with my cards and photos. There's so many to choose from but I enjoy this process so much! I adhered them with a bit of foam so that they have extra dimension. I added the journaling with my vintage typewriter on some Petite Print papers from the 6x6 Floral-Graph Rainbow pack. 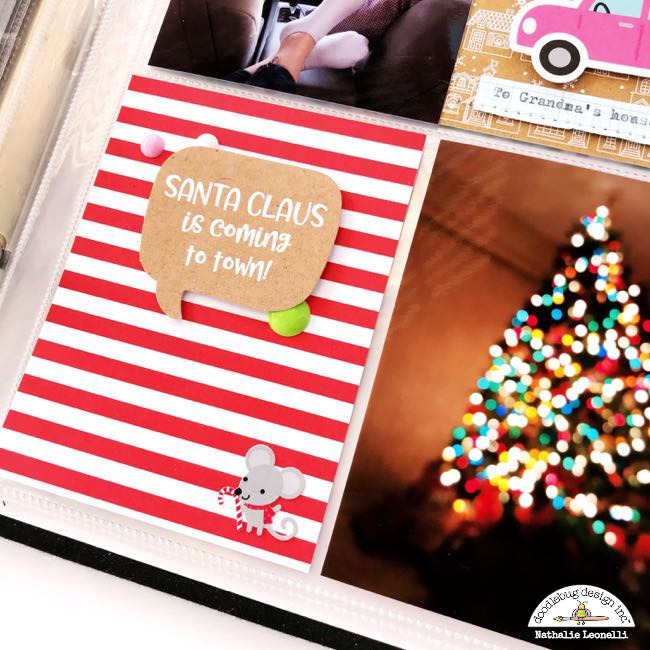 For what is probably my favorite card, I found this tiny mouse sticker on the Icon sheet and paired it with a speech bubble from the Chit Chat pack and a couple Christmas Sprinkles. Isn't it the cutest? I hope you feel inspired to have fun with your Holiday photos and the Christmas Town collection! When you do, make sure to add the #doodlebugdesign tag in your Instagram posts or leave us a link in the comments below. Happy crafting! Such great pocket pages!! Love the kraft!